What’s going to be on your table this Thanksgiving? 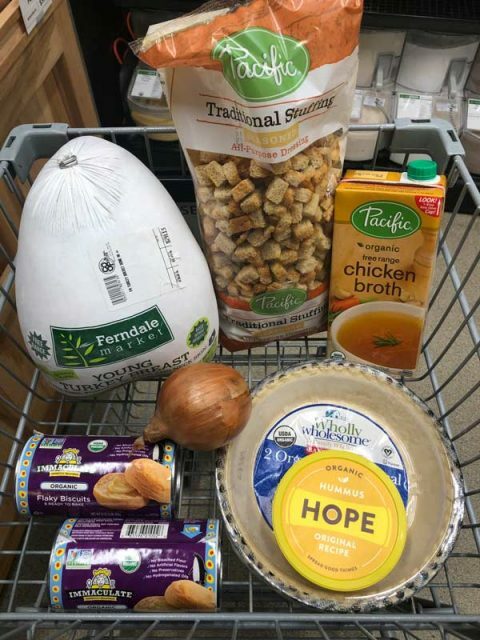 We sent two moms to buy ingredients for a typical Thanksgiving meal—one purchased conventional foods and the other purchased organic foods. We gave them each the same shopping list. Our two moms went first to a large grocery store and then to a smaller store specializing in organic foods. Here’s what they discovered. Finding organic options was easier than we expected. We didn’t expect we’d be able to find organic cranberries or whipped cream, so we were pleasantly surprised by the options available. Shoppers have a tremendous variety of choices, which is great! The organic ingredients cost more. This is something we anticipated. Ingredients for the organic meal totaled $108. 96. Ingredients for the conventional meal cost $72.60. Our mom shopping for organic food felt the produce in particular was more expensive; for instance, an organic cauliflower was $5.99 and an organic green pepper was $2.99. The exercise created some self-doubt and discomfort. Our two moms actually shopped together. Both moms noted that they assumed that any food sold in a grocery store is regulated and therefore safe. 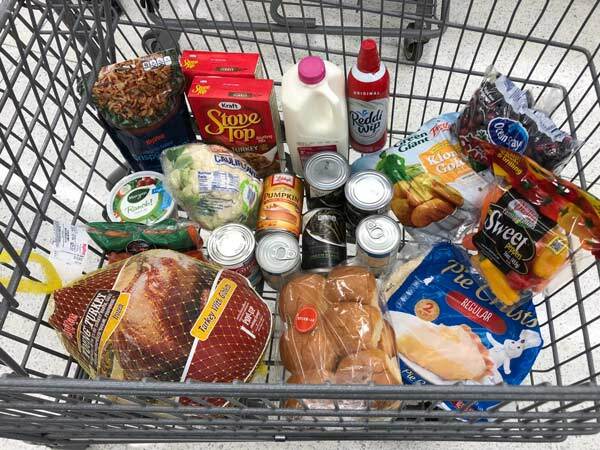 But the mom who purchased conventional food began second-guessing herself and wondering if she really was providing the best food for her family. The mom who purchased the organic food is (in real life) an extremely thrifty person and spending more for organic foods seemed wasteful to her. We had trouble understanding the labels. We thought our turkey was organic, but the label says it’s natural, free-range, minimally processed and raised without antibiotics. But does that also mean it’s organic? Is it GMO-free? We decided to review what these terms mean. People assume that natural foods have undergone minimal processing and contains no preservatives or artificial additives. However, the FDA has not defined the term, so it actually has little meaning. Read the article on NewWeek.com. Producers use antibiotics to treat sick animals, which is humane. To claim that food is raised without antibiotics, producers must send documentation to the USDA, but there are no inspections. Back to the organic definition; to be certified organic, producers cannot give antibiotics to animals raised for meat, poultry, dairy and eggs. Read the article, “What ‘No Antibiotic’ Claims Really Mean”. To most people, this term implies that the animal was not confined and thus lived its life free to roam. The USDA only regulates the term with poultry. To earn this designation, poultry must be allowed access to the outside, but it doesn’t necessarily mean they actually go outside. Read the article, “Getting to Know Your Meet labels”. These terms are defined by the USDA but not regulated or measured in any way. Research shows there is a gap between what consumers think these terms mean and what they actually indicate. Overall, our moms were happy to have so many options and that they could be confident that the foods they purchased were safe. When it comes to buying food for your family, there are no right or wrong answers. However, all food, whether it’s conventional or organic, is grown by farmers. As we prepare our Thanksgiving meals, let’s thank farmers for providing us with many options. All food purchased was donated to Feeding South Dakota.